I have tried both 4.3 and 7 Android SDK. 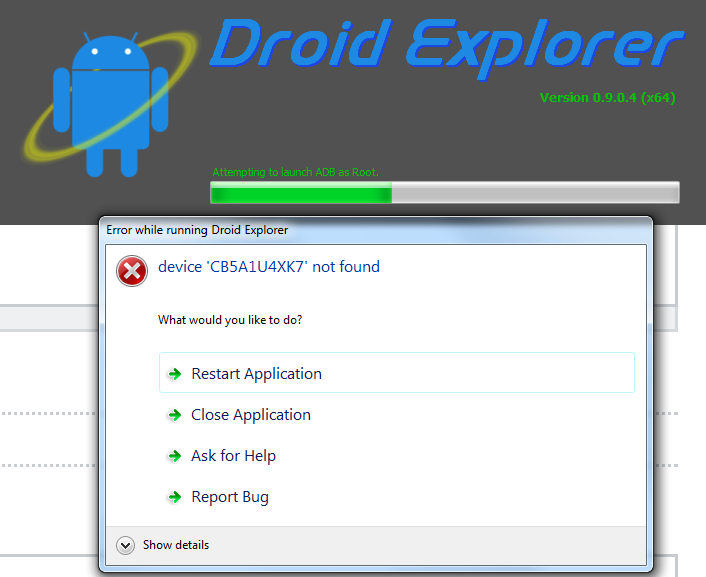 I kept getting the error message "device '' not found" as shown in the below screenshot. Please replace the platform tools API 23 file size 9 MB and remove the previous one. And remaining the same. Your device will be visible. The solution is to grant root access to ADB in Developer options. First of all you need to enable Developer options as explained on Android Studio then you enter Developer options as explained there as well. If you run CyanogenMod/LineageOS you can easily allow root access for ADB as explained here. Otherwise you have to do it via Terminal. Also ensure you are connected to your PC as Mass Storage (UMS).